Aside from the return of Serena Williams and Victoria Azarenka, the dominant storyline has been the success of the teens in Indian Wells. The upsets have been heavy in the top half of the draw and just the top two seeds remain at either ends of the draw with six unseeded players nestled in between. Read on for eight stories from day 5 of main draw action at the 2018 BNP Paribas Open. The 16-year-old, Amanda Anisimova is having an incredible week in Indian Wells. After taking out Anastasia Pavlyuchenkova in the second round for her best career win, Anisimova has topped that with a first top ten victory over Petra Kvitova, 6-2 6-4. Anisimova was once again so composed on court which, considering this was the biggest match of her career, was quite remarkable. The American didn’t seem overrawed by the occasion and went toe-to-toe with Kvitova as she held her ground on the baseline. Kvitova didn’t play well and she never seemed to find her rhythm. I’m not massively surprised as this has never been a good tournament for Petra. All the credit to Anisimova who broke for the win after failing to serve it out at *5-3. In all my years of following the WTA, I can’t remember being this impressed about an up-and-coming player.
.@AnisimovaAmanda is the 1st 16-year-old to reach the Round of 16 @BNPPARIBASOPEN since 2005 (Viktoriya Kutuzova). The 18-year-old, Marketa Vondrousova eased past Aryna Sabalenka, 6-2 6-2 in just an hour. The match was a bit of a letdown with Sabalenka playing a poor match. Sabalenka committed too many unforced errors and didn’t get enough returns in court. Vondrousova dropped just three points on serve in the first set despite only 37% of first serves in play. Vondrousova, who was cheering loudly after most points she won in the second set, played a very solid match and is yet to drop a set this week. 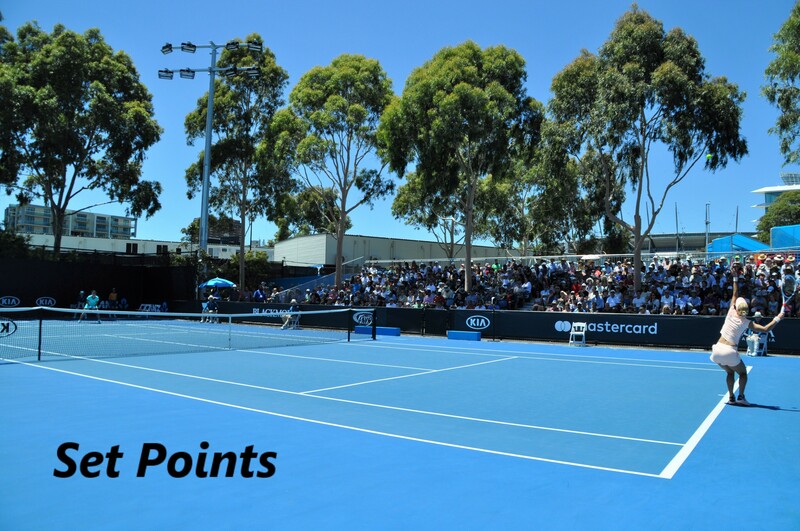 In the blockbuster match held over from Saturday, Sloane Stephens beat the returning Victoria Azarenka, 6-1 7-5. Sloane’s forehand was on fire for much of the match and she was very impressive. Stephens had a calm focus about her and a sense that she was really up for this clash. Azarenka was two points from forcing a decider. Stephens was clutch from *4-5 *0-30 and went onto win 12 of the last 13 points. Great to see Azarenka back but the match rust was evident. WTA Insider posted some quotes from Azarenka in her press conference HERE. Petra Martic beat the number six seed, Jelena Ostapenko, 6-3 6-3. Martic has now made the last 16 of the French Open, Wimbledon, the Australian Open and Indian Wells in the last year. Impressive. Wang Qiang beat the number 14 seed, Kristina Mladenovic, 6-1 6-2. Mlads has won just eight games in three matches against Wang and I am so confused. Maria Sakkari beat the number 17 seed, CoCo Vandeweghe, 6-2 6-4. CoCo had spoken in her press conference about her love-hate relationship with the conditions in IW so I wasn’t so surprised by this result. Sakkari has game. The tennis was still going on when the feeling of dread hit me that it is a Monday morning 😂. After losing two games where she couldn’t find the court with the backhand, Naomi Osaka turned on the style at the end. The Japanese player broke Sachia Vickery’s serve with two magnificent forehand winners (one linked below). Osaka keeps impressing and won, 6-3 6-3. The Indian Wells YouTube account is posting full press conferences. These take a while to pop up but they are worth it when they do. Check out Naomi Osaka’s press conference after her second round win over Agnieszka Radwanska. She (kind of) promised to do some press in Japanese on Sunday! A sweeping preview of Monday’s matches including Serena vs. Venus, Stephens vs. Kasatkina, Goerges vs. Sevastova and Garcia vs. Gavrilova is up on the blog. March 12, 2018 in Indian Wells, Set Points, WTA. Loving seeing the next gen shining through. I especially like Vondrousova, who plays like the best of Petra combined with the best of Pliskova. That girl is certainly a future Slam champion and I wouldn’t be surprised if it was in the not too distant future. Yes me too, i’ve really enjoyed this tournament so far. There’s so much talent coming through which is great to see. I think this is going to be big year for the WTA.